A decade has passed since Koniyath Zakariya of Parapanangadi, was arrested and put in Bengaluru Parappana Agrahara Central Jail on charges under the draconian provisions of UAPA. Zakariya’s imprisonment is continuing even after ten years as the trial and cross-examination related to the case is lagging indefinitely. 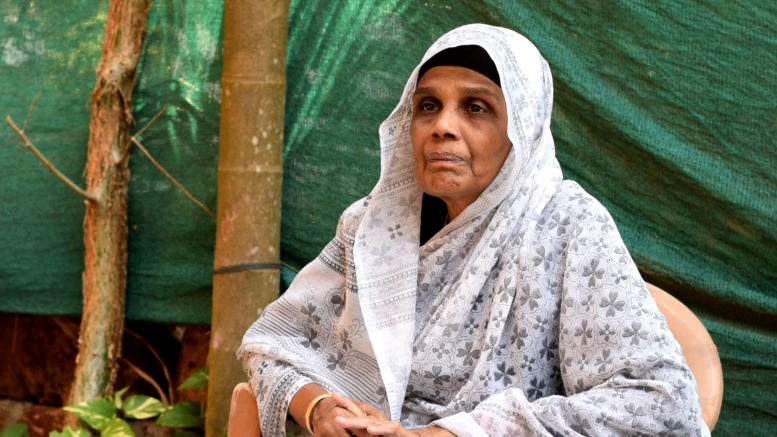 February 5 2019 marked 10 years of imprisonment and denial of justice to Zakariya Koniyath, a native of Parappanangadi in Malappuram district, Kerala. Zakariya Koniyath, a 19 year old, pursuing a mobile technology course while simultaneously carrying out a part time job a mobile shop was arrested in Tirur, on February 5 2009, by the Karnataka police accusing him of “providing technical services” for the Bangalore blast that happened in 2008. Born to Koniyathu veetil Kunjahammed and Beeyumma, Zakariya was raised by his mother since his father passed away when he was just 10 year old. ” I really don’t get how inhuman this world can turn out to be” says Beeyumma. Karnataka police arrested Zakariya which literally sounded like kidnapped. As a coating on the truth hidden, the National Investigation Agency tapped charges of Unlawful Activities Prevention Act (UAPA) against Zakaria to support “their version” of the story claiming that the chip used in the bombs were manufactured from the electronics shop at Kondotty, where Zakaria once worked. His family was only informed after 3 days of the arrest. The Karnataka police didn’t take permission from the Kerala police before the arrest. Zakaria was bought facing the court only after 4 days of arrest. The Karnataka police had produced two witnesses to justify their claims. One of them was a person whom the Karnataka police had not even met and the other was a person was forced to sign a statement in Kannada. Both these witnesses came out in public saying that the case was fabricated. But unfortunately, the court did not listen. The case is still going on. Zakariya is completing ten years in prison on February 5, 2019. No judgement yet, and he is waiting for a judgement. He is just one of the thousands of people who are waiting for their judgement in prison. The question for a democratic country is this: Why the hell should prisoners wait for their judgement in prison. If Zakariya is proven to be guilty, a judge can make a judgement that he deserves to be in prison for a certain period of time. But spending ten years waiting for a judgement is unacceptable as per any civilized norms. It violates the basic premises of the Indian Constitution itself. However, the UAPA (the Unlawful Activities Prevention Act) provides justification for such a crime over innocent people branded and fabricated as terrorists. “It was not one Zakariya whom they arrested branding as a terrorist. It was a whole family, relatives and friends who were ostracized after the blatant lies which came out in the mainstream newspapers, fed by the police.” Human rights activist KP Sasi said. “When I hear the rumbling sound of the train passing by, when the forlorn call of its whistle hit my ears, my heart yearns for him to be in it,” Zakariya’s mother mumbles weeping in her prayer yearning for her innocent son to come back home and praying for his justice. Why is this Muslim youth still in prison?